Register Log In GliderCENTRAL Forums Health & Hygiene Renovation Concern! We are preparing for major room addition. 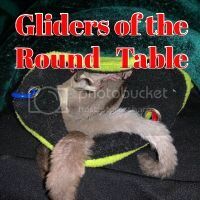 My concern is the disturbance the gliders will experience and how I can reduce their stress? My house is loft style and the gliders are upstairs. This area is open to an open floor plan. We are remodeling and adding a higher loft wall, family room and mud room. The problem is there is no where they can be placed that will give them a quiet area and I fear they will be stressed out! Keep them in your bedroom, put them as far away as possible and cover their cage with a blanket to keep as much noise out as possible. I don't think it is going to be a problems as mine hear the parrots and I am surrounded by schools, the preschools is right out their window and that window is open in the summer. Since it's a new noise, with hammers, drills, skill saw, bangs, etc, I would stand near their cage when the big noises begin and talk to them to assure that's OK.
Other than that, be aware of the dust, and chemical smells. If they are high, up in the loft, keep in mind toxic glues ,paint, and anything gas powered can cause asfixiation(misspelled). Fumes and vapor rise. If you can wrap their cage in a safe blanket, that will help not only with noise, but dirt and drafts. Good advice but I work so I wont be available during construction. I am most worried about the toxic fumes and dust as the area below their area is being remodeled and the loft is our bedroom. Our bedroom is moving and they will also be moving but that is the last thing being done. I thought about having them be pet set but I feel like that would be worse? 1. Place them as far away as possible. Think of how sound travels when deciding that. 2. Think about what equipment they'll be using & where. Try not to have them right above where the worker(s) will be using tools that create vibrations. You could also pick up a few rubber mats such as you might use in playrooms (they're cheap), & have the cage rest on these to cut down felt-vibes. 3. A blanket over the cage (as has already been suggested) will muffle noise and help keep out dust. 4. If there is a window in the loft, place a fan in/near it pointing towards the cage. The closer the cage is to the window, the better. This will force fresh air towards them & help keep away contaminated air. 5. If you're expecting a lot of dust & chemical fumes, I would encourage you to consider draping plastic to block the opening to your loft. You're wouldn't be trying to make it air-tight, just trying to limit air exchange. That said, without another source of fresher air, it will get mighty stuffy if you're talking about long periods where it isn't safe to leave it wide open. Without knows specifics of the project and the set-up of the house, these would be my top recommendations for the concerns you mentioned. Hope it helps. Or perhaps a daycare during the day since they sleep all day. So you have a small cage and a friend that can keep them safe while they sleep? Take a blanket along to wrap them in your scent. Being home when you get off work. Thanks @Hutch and Dawn as well as Feather. I do not have a safe place and the ideas you have Hutch are great. I think I will see if I can leave them at my son's home while I am at work and rearrange the loft for them. Hutch, I live in a dome. The downstairs is open as well as the loft. We took out the skylights so there are not any supplies of fresh air in the loft (although I keep a fan up there night and day). There are two large cages as I still have the neutered boys in their own cage and the girls in theirs. My dilemma is all parts of this house are going to be affected. 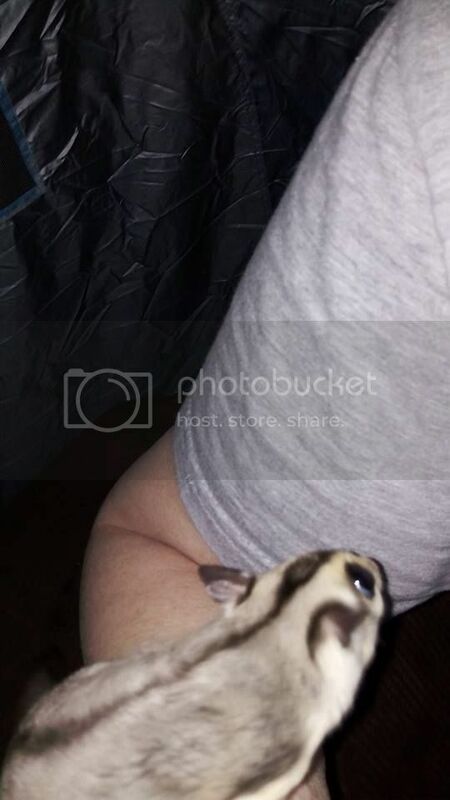 Do you all think if I have a pet sitter (also have a vet that says they can stay there as they are very tame) and then cover their cage and place another fan away from them it would work? I am very concerned for all my pets but the others issues are resolved but still trying to figure this out. I have a medium cage but not two of them. I have pouches but if I were to wear them to work, I am pretty sure at the least I would be given a write up.